Google has a jaw dropping search number of 3.5 billion per day! This means your website can get thousands of visitors everyday if you build your site correctly! This is where “Search Engine Optimization” comes in! Having more than 1 billion websites online, its not easy to track the right seo experts who can do the job for you! In this post, I have tried to create a bridge between the top seo experts in the world and the audience! Follow the best SEO experts in the world to reap incredible online success! Born on 1979 Flemington, NJ, Rand has given a new face to SEO over the years. He is in the business since 1993 and has contributed significantly in the industry. When it comes to seo experts introduction, Rand is is the name one must start with. Rand’s vision on sharing His knowledge and experience inspired others to explore the world of SEO. He is the founder and former CEO of Moz which is one of the leading companies in the world. He is also the co-founder of inbound.org! Rand has been invited to share His knowledge with the teams of Google, Microsoft and Facebook. Moreover, he has been invited by different universities throughout the world! Rand Fishkin is undoubtedly an SEO legend in the market and someone to look up to if you plan to build your career in SEO. You can connect with Rand and follow him on Twitter or on LinkedIn . He is also available on Facebook! Dharmesh Shah can be defined as the personification of innovation and ideas! He is the Co-founder and current CTO of Hub-spot which is one of the best inbound marketing companies in the world! The first company he founded was Pyramid Digital Solutions which won the prestigious inc.500 award! Dharmesh never looked back from there and continued to prove His expertise till today! He is one of most followed seo experts in the world. He is an active member of several entrepreneurial community! With His unique and brilliant mind he has helped Hubspot to be a one stop solution for inbound marketing! Dharmesh has graduated from MIT and also holds a B.S. in Computer Science from the University of Alabama in Birmingham (UAB). You can easily reach Dharmesh by Twitter, LinkedIn and Facebook! Brian Dean is a one man army when it comes to SEO battle! If you are not getting enough traffic, getting confused by different SEO techniques and having nightmares of Google updates, Brian is the man amongst the boys! He is the founder of Backlinko.com which is a knowledge vault for SEO and back-links! His blog on SEO covers unique, fresh and actionable strategies that can be applied on any website with a sure success expectation. Moreover, His explanation technique is amazingly easy to understand! He is widely regarded as one of the best seo experts particularly for link building. You can follow and connect with Brian Dean by Twitter, LinkedIn and Facebook! Even before the days Google came in, Danny Sullivan has been an SEO enthusiastic and contributor! Danny started to write about search engines functions from April 1996! He is the former editor in chief of Search Engine Watch! At present, he is the editor in chief and founder of Search Engine Land and Marketing Land! Furthermore, Danny also performs the role of the chief content officer for Third Door Media which produces Marketing Tech Conference, Search Marketing Expo Conference and Digital Marketing Expo. He is one of the fewest core seo experts in the world having knowledge beyond Google SEO. To follow Danny’s work, you can connect with him on Twitter, LinkedIn and Facebook! Ann Smarty, the SEO princess made it to number 5 in the list! Ann made guest blogging the new weapon to pierce through ranking barriers and build larger audience! Consequently, she formed myblogguest.com that enabled bloggers to build new audience, network, brand name and exclusive content! Furthermore, Ann is serving as one of the seo experts for the team of Internet marketing ninjas since 2012. Moreover, she formed MyBlogU on 2014 that has gained a huge popularity amongst the bloggers community! MyBlogU helps bloggers collaborate proactively and create great content! You can connect with Ann Smarty by Twitter, LinkedIn and Facebook! Bill Slawski is the founder of SEO By The SEA! Though he worked for the superior court of Delaware for years, Bill decided to help some of his friends to promote their online business back in the 90s. Since then, Bill never looked back and became a successful entrepreneur thereafter. Over the years he has proven to be one of the most prominent SEO experts in the market. His company SEO by the sea ensures quality and transparent SEO service. He offers helpful and actionable information through his blog that helps people who have lesser experience in His filed. You can follow Bill Slawski on Twitter, LinkedIn and Facebook! Ash Buckles is widely regarded as one of the best seo experts in the business! His diversified knowledge on SEO, PPC, blog marketing, social media and cold fusion development has made him grab the 7th position in the list! Ash is currently leading the global SEO operation for IGH which is one of the world’s leading hotel companies! Ash has a proven track record of generating growth in revenue organically by his exceptional SEO skills and knowledge about online promotion. You can chat with him weekly on twitter by #seochat which he co-founded! You can also connect with him on Twitter, LinkedIn and Facebook! Lee Odden is the proud co-founder and CEO of TopRank Online Marketing! He has been in the industry since 1997 and have been contributing in the SEO sector comprehensively. He has shared His knowledge in more than 100 conferences all over the world and is considered one of the top seo experts in the industry! Over the past 10 years, Lee has written more than 1 million words on internet marketing and web search! One of His most popular publication is Optimize: How to Attract and Engage More Customers by Integrating SEO, Social Media, and Content Marketing. You can follow Lee by Twitter, LinkedIn and Facebook! Neil Is the SEO version of the incredible hulk! He has smashed His way through the SEO giants and turned out to be one of the best seo experts to find! Neil is the co-founder of hello bar, kiss matrix and crazy egg. He is also a writer on Quick sprout. Neil has helped big names in the hood such as TechCrunch, Viacom, HP, GM, NBC, Amazon and many more! Having immense practical experience on SEO and online marketing, Neil has written many guides and articles that helped millions all over the world. Few of His most popular publications areThe Complete Guide to Building Your Blog Audience, The Advanced Guide to SEO and The Beginner’s Guide to Online Marketing. You can get connected with Neil by Twitter, LinkedIn and Facebook! Aleyda Solis is one of the best global SEO consultant with an extensive experience in SEO! She is regarded as one of the top seo experts in developing and managing SEO campaigns globally! Aleyda is currently serving as the Global SEO manager at Forex club from Madrid, Spain! Furthermore, she is also serving as a consultant and keynote speaker for orainti. Aleyda had a successful run as the SEO manager with Bodaclick and social media manager at internet advantage! You can connect with Aleyda by Twitter, LinkedIn and Facebook! Gianluca is well regarded as an SEO consultant and web marketing strategist! He is considered as a specialist in the industry for inbound marketing and global SEO. Since 2004, Gianluca has been offering His services as a free-lance consultant in the SEO and online marketing sector successfully. He is well known for His in-depth knowledge on creating SEO strategies that actually works and marketing strategies that proved to be successful in the market. He is genuinely acknowledged as one of the top level seo experts in the community. You can connect with Gianluca by Twitter, LinkedIn and Facebook! Larry Kim is the man behind one of the best search engine marketing automation software in the market! Larry is the founder of Word stream which is one of the leading online advertising companies in the world. He is one of the SEO experts in the world who has proven His expertise by contributing in platforms like Search Engine Journal, Marketing Profs, Search Engine Watch, Search Engine Land, Forbes, Inc. Magazine, Marketing Land, Hubspot, Moz, Social Media Today, and top 20 contributor at Inbound.org! Furthermore, he is also a prestigious speaker at SAScon, Conversion Conference, SearchLove Conference, PPC Hero Conference, SMX West, SearchFest, United Servicers Association, State of Search Conference, The Local Social 2014, Marketing Profs B2B Forum, Pubcon, iSummit, INBOUND 2014, ClickZ Live SF, SearchExchange, MN Search Summit, and SMX Advanced. Joost is the founder and CEO of Yoast which is a blend of a software company and an SEO agency! Joost is the man behind the revolutionary WordPress SEO plug in that helps site owners to optimize their sites for SEO! As per the records, His plug in has been used on over 3,500,000 websites so far! He has previously worked for companies of different types and size from local stores to giants like Salesforce and E-bay. Joost has been sharing His knowledge and experience through the yost blog on SEO and about other relevant topics. His unique ideas have brought him the recognition of one of the top seo experts in the world. You can connect with Joost by Twitter, LinkedIn and Facebook! Having 2 decades of experience in SEO, Craig is indeed one of the top seo experts the industry has right now. He is the co-founder of Circloscope and has his own website craigfifield! Craig has been a program manager with Microsoft for 10 years! He has been serving as an SEO consultant successfully in the market and is a specialist on Technical Specifications, UI/UX, Product/Feature Development, Wire Framing, Usability, Online Branding, Social Media Marketing, SEO, WordPress Optimization and Speaking. You can connect with Craig by His website or simply follow him on Twitter, LinkedIn and Facebook! Dan Petrovic is one of the best seo experts from Australia currently with one of the finest Australian SEO and marketing agency dejanseo. He has a successful track record with Griffith University as an adjunct professor and worked on projects like google algorithm change tracker and fresh link finder. 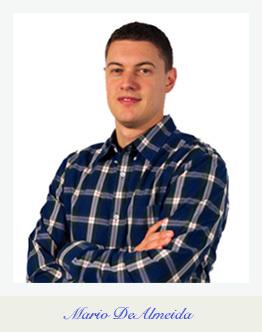 Dan is highly skilled in SEO, link building, web analytics, CRO, online marketing, E-commerce and so on! Dan is regarded as one of the best SEO experts in the world who has served and made many companies successful across the globe. You can connect with Dan by Twitter , LinkedIn and Facebook! Darren Shaw is one of well recognized Canadian SEO experts who has gained a global recognition throughout the years. Darren is the founder and president at Whitepark which is an Edmonton based Tech Company. Darren has made a great crossover between marketing and software with Whitepark that serves from web design and development to PPC, online marketing and SEO. Darren has been chipping away at the web for more than 17 years and cherishes everything about nearby SEO. You can connect with Darren by Twitter , LinkedIn and Facebook! Being one of the pros in the industry David has an insight knowledge on Google behavior and SEO. David started off as a web developer and designer from 1998 and took online marketing as his sidekick from 2001. On top of being one of the best seo experts in the community, David is well versed with internet marketing, web development and personalized search optimization. David is the founder and owner at seotrainingdojo which is a renowned SEO training platform online! You can connect with David by Twitter, LinkedIn and from his website contact form! The director of audience development for Moz, Cyrus is a living example of success in the SEO industry. He started his SEO journey by building his very first student website. Since then, he never looked back and conquered his was to success. Cyrus is considered as one of the most versatile seo experts in the industry. You can connect with Cyrus by Twitter, LinkedIn and Facebook! Derek has over 12 years core experience in SEO and online marketing! He is one of the industries top seo experts having a successful run with brands like Hallmark, Kaspersky Lab, Hewlett Packard, Covidien, and Stanley Black & Decker! He has a diversified work profile serving from fortune 500 companies to startups! Derek is a regular contributor on the search engine land and the content marketing institute! Derek is rightfully regardes as one of the top SEO experts in the market. You can connect with Derek by Twitter , LinkedIn and Facebook! Donald has been serving companies like Microsoft, PACCAR, MasterCard, HTC and many other top notch brands for over 10 years! He is one of the proven seo experts around with great skills on SEM, PPC and online advertising comprehensively! Donald is the principle and co-founder of one of the finest digital marketing agencies which is DSquared-Media. Don has changed how marketing is offered and made it a more beneficial and sustaining experience for everybody involved with him. You can connect with Donald by Twitter, LinkedIn and Facebook! Ian Lurie is the founder and CEO of Portent! A company that is specialized in taking a collective approach towards digital marketing to optimize which works and test which doesn’t ! Ian is a brilliant writer regularly contributing on the Portent blog! Moreover, he has been featured on Forbes and tech crunch. One of His recent publication trending all over is One Trick Ponies Get Shot which is about strategies of service business. John is the real deal when it comes to content strategy and SEO design! Having a Webby award under His belt, John has been working with Facebook and has almost 20 years of experience. He is an amazing speaker and has given talks in South Africa to National Press Club in Washington, DC. John’s SEO skills had a great impact on companies like Facebook, IBM, The nature conservancy and REI. He is widely recognized in the community as one of the top notch seo experts. Mat is the proud founder of AtU2 and GlassAlmanac! Mat is also a reputed writer and the Editor-in-Chief at Marketing Land and Search Engine Land! He regularly blogs on mattmcgee which is his personal blog and shares his views with his audience! His immense editorial contribution about SEO on major web publication platform has made him one of the top SEO experts in the community. Matt is also the founder, editor and manager of the oldest independent site for U2 fans on the Web. Lisa Buyer has proven to be a bridge that connected social PR with SEO prominently! She has been one of the most brilliant seo experts who created a great trust amongst her clients! Lisa has proven her strong grip over analyzing social identity system, developing digital publicity campaign, acting as the corporate counselor and ensuring Google is updated about her work. Lisa has gained reputation as one of the best marketing consultant in the hood! She is the author of social PR secrets and the editor of social PR chat. You can connect with Lisa by Twitter, LinkedIn and Facebook! Will has been in internet marketing since 1999 and to the date he is considered as one of the best seo experts in the industry! He started off with NetMarketing at the beginning of his internet marketing career. He afterwards became a key associate with SEER interactive which is a Philadelphia-based SEM/SEO consulting firm. Will is now successfully helping business around the world from startups to giants. You can connect with Will by Twitter, LinkedIn and Facebook! Melissa is one of the result driven seo experts in the market having in-depth knowledge on marketing and how the online business actually works. She has done so many things in the industry which can’t be explained or mentioned in few words! Few of her significant contribution has been as a writer/editor for smalbiztrends, search engine journal, sphinn and copypress! Melissa is also the proud owner of SEO aware! This is one of the best and well reputed marketing company that offers Search Engine Marketing, Social Media, Content Marketing, Blogging, SEO Copywriting, Web Design Development and Search engine optimization! You can connect with Melissa by Twitter, LinkedIn and Facebook! Rae express herself as an entrepreneur, white-collar redneck, born and raised Jersey Girl! Rae is the CEO of PushFire, which has proven its brilliance in search engine optimization, PPC, link-building, and advanced brand promotion. She is very generous and supported organizations like American Heart Association, Heart Walk-Huston and Kiva. Rae is a regular speaker on Affiliate Summit, SMX, PubCon and many more! With over decades of experience in the industry Rae is acknowledged as one of the best seo experts to follow. You can connect with Raw by Twitter, LinkedIn and Facebook! Richard Baxter is an expert digital marketer with 10 years’ experience in providing complete digital solution for top brands in the market! He is the proud CEO of Builtvisible which is a London based SEO and content marketing agency! Builtvisible has proven its expertise in providing results for its clients and is an excellent company to work with! Richard is acknowledged as one of the most effective seo experts around due to his in-depth knowledge on search engine marketing! You can connect with Richard by Twitter, LinkedIn and Facebook! Vanessa is the CEO of Keylime Toolbox which is a state of the art software that provides key SEO metrics and analytics! She has an artistic approach that makes SEO understanding really easy with brilliant tutorials and answers! If you are looking for simple solutions of complex SEO issues,Vanessa is undoubtedly one of the best seo experts to follow. You can connect with Vanessa by Twitter, LinkedIn and Facebook! As an author, trainer, speaker and a forensic SEO consultant, Alan has been one of the top seo experts without a question! Having 20 years of experience, Alan is your guy if you are seeking a great professional internet marketing service! He has served from sole traders to Fortune 500 companies successfully all around the U.S! Some of the biggies in the market who had taken advantage of His great SEO skills are NBC/Universal Studios, Mashable, UGG Australia, Beats by Dre, and the ChamberofCommerce.com! You can connect with Alan by Twitter, LinkedIn, Facebook and his website! Elisabeth is an industry specialist serving successfully in SEO, SEM, social media, marketing analytic and online public relations! She is passionate towards audience building by content marketing and community management. She is responsible for increasing brand recognition and readership at marketing land and search engine land. She is also the vice president of Third Door Media. Elisabeth is a marketing genius with the drive to create mark forward encounters, controlled by natural ability to conceptualize upmarket projects and use her expert experience to execute on imaginative and vital visions. Matt had one hell of a ride throughout His journey towards success! He has been the executive manager for tow startups, a stint on Wall St and managed Incisive Media’s North and South American Advertising Technology business. At present, Matt is the head of strategy for Google and advisor at Adestra! 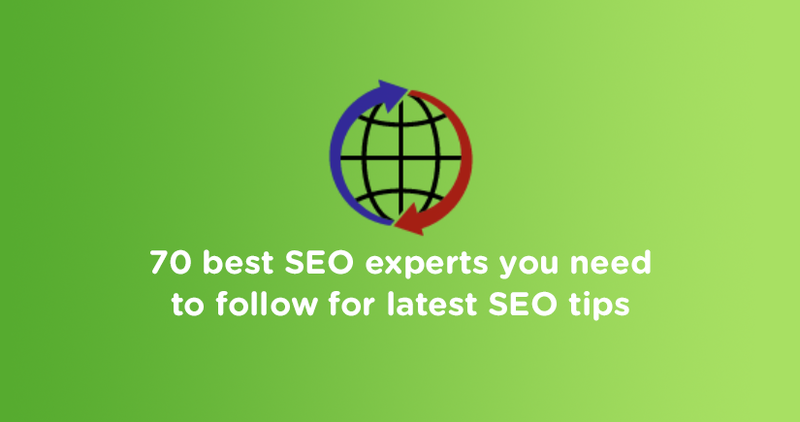 He is one of the must follow SEO experts in this list. John can be called “the special one” as far as seo experts and web marketing strategist are concern! His brilliant and unique mind helped to create the amazing Raven Internet Marketing Tools, a company that is a sidekick for internet marketing superheroes! The Raven internet marketing tools allow marketers to manage and report their marketing activities precisely! John has been in the industry since 1995 as web development expert and online strategist. He was with Visa as an interaction designer before Raven where he was responsible to develop web applications for Visa consumers and corporate customers! Eric is the lead author of the popular book The Art of SEO! He has co-authored this book with top guns like Rand Fishkin, Stephan Spencer and Jessie Sticchiola! Furthermore, Eric is a regular writer on Moz, Copyblogger, Marketing Land, Search Engine Land and Forbes. He is the proud CEO of Stone Temple Consulting which is a state of the art digital marketing agency that provides great SEO, content marketing and social media engagement services. If you are looking for one of the top seo experts to follow, Eric is without a question one of the best option. You can connect with Eric by Twitter, LinkedIn and Facebook! Adam is an all in one combo when it comes to online marketing and SEO! His an awesome blogger, effective start up adviser and a fascinating PR speaker! He is one of top seo experts and an analytics advocate at Google! Adam has been mentioned by top media platforms such as AdWeek, NY Times and TechCrunc for His creative ideas on digital marketing and PR! You can connect with Adam by Twitter, LinkedIn and Facebook! Dave is the head of search marketing of Bronco which he bought back in 2003. His company Bronco is one of the leading digital marketing agencies in UK and also well recognized globally! He covers a wide range of services under Bronco which includes internet service, organic marketing, and pay per click, advertising, digital media marketing, PR, conversion and video creation. Through his years of experience and skills Dave has made it to this list as one of the best SEO experts in the world. You can connect with Dave by Twitter, LinkedIn and Facebook! Marcus is a German search specialist who is considered as one of the most effective seo experts in the industry! He is the proud Managing Director and co-founder of the award winning leading technical SEO software at OnPage.org! This software is dedicated towards helping the web-warriors to make great websites! He is also the host at SEOktoberfest which is a dynamic platform for SEO geeks to share and earn knowledge! This is one of the world’s largest platform for SEO enthusiastic. You can connect with Marcus by Twitter, LinkedIn and Facebook! Julie is an all round expert having great expertise in programming, technical writing, QA testing, SEO, SEM, PPC, project management and link building. She is the proud owner of the renowned link building company Link Fish Media, Inc and also the co-founder of SEO Chicks! Julie is one of the core seo experts who have been contributing in the industry successfully for more than a decade. She has more than 12 years experience in this field and is widely regarded as an expert in the industry. You can connect with Julie by Twitter, LinkedIn and Facebook! Adam is one of those brilliant seo experts who possess a core knowledge about search engines and its optimization aspects. Being involved with the search marketing industry since 1996, he is one of the SEO warriors who can surely win a battle of search engine marketing at any given time! His input towards Merkle | RKG’s paid and organic search marketing brought a huge success for the company! He is currently the chief knowledge officer for RKG! Adam had an amazing career with his previous venture AudetteMedia by which he partnered with big brands like Kroger, HSN, Charming Shoppes, University of Phoenix, Amazon, Zappos and Michelin. Kim is one of the veteran seo experts in the world having a comprehensive knowledge on SEO terms! She has been in the industry for 20 long years and started to work with SEO from 1997! Her expertise are proven by some platforms like cre8pc (Founded by Kim in 1997), cre8asiteforums (Founded by Kim in 1998) and recently creativevisionwebconsulting! Kim’s company creativevisionwebconsulting is a complete solution for digital marketing. Her company covers website usability audits, user testing, accessibility testing, mobile and software testing, and SEO. You can connect with Kim by Twitter, LinkedIn and Facebook. Jill is a regular name on national and industry publications worldwide! She has a pool of knowledge and proven expertise that can penetrate the barriers of search engines and rank your website ahead! Whether you find your website lacks visitors or if it’s a new site, Jill can be your success tool! She has been acknowledged as a renowned speaker and a successful writer on platforms like Search Engine Land and Talent Zoo. She has also been mentioned on the SEO Wikipedia online! You can connect with Jill by Twitter, LinkedIn and Facebook! Gabriel is the man behind this brilliant search engine Duckduck go! Gab is a brave and fearless (in my words) entrepreneur who has dared to challenge the giants like Google, Bing and Yahoo! His search engine DuckDuckgo has gained a recognition in the market by not showing all the users the same search result for a given search term! Its user friendly and handy enough to serve the needs of the web surfers decently. You can connect with Gab by Twitter and LinkedIn! The Dutch SEO champion made it to the number 43 of this list! Dennis is a proud Dutchman currently residing in San Francisco and is considered one of the most knowledgeable seo experts in the industry! He is the former Director of SEO at eBay and head of global SEO at Airbnb! At present, Dennis is working successfully as the as VP of growth and SEO for Fanatics, which is a leading online shop for fan gears and sports apparel. “Where I see a lot of success in the future in content marketing, is when you are able to build a number of pieces of content as a foundation. After having success with these pieces, you can level it up and build real trust and authority with your audience. When real successful, you might be able to get a disproportional amount of media coverage on your EPIC pieces of content, and get millions of dollars of media coverage for “free” based on the content you publish. I’ve had success with this while working at Airbnb, on the Wall and Chain campaign. You can read more on the backgrounds of that campaign here, where we won 5 awards for the film and got more than 120 primary media outlets covering the campaign. The whole campaign was build up using a marketing framework I coined the Content-Brand pyramid. In the coming weeks/months you can expect more interesting content to roll out on Fanatics websites which are using the Content-Brand pyramid. You can connect with Dennis by Twitter, LinkedIn and Facebook! Yeh, I am talking about screamingfrong which is undoubtedly one of the best marketing agencies in the world right now! Dan Sharp is the proud owner of this brilliant firm! He has proven his awesome SEO skills by his continues research of the latest changes, developments and twists of the search engines algorithms. He has also designed an amazingly effective software named Screaming Frog SEO Spider which is one of the world’s best on-site SEO audit tool! You can connect with Dan by Twitter, Facebook and LinkedIn. Rhea is the proud CEO of one of the best and proven digital marketing agency Outspoken Media! Rhea often speaks and shares her knowledge about SEO, Link building and reputation management in crowded conferences like Web 2.0 Expo, SEMNE, PubCon and Social Media Breakfast! Previously, she has blogged for renowned online publications like Search Engine Journal and Bruce Clay Inc. She has been featured in the Wall Street Journal and SEO Bible as well! Rhea has rightfully acquired her place as one of the top seo experts in the industry. You can connect with Rhea by Twitter, LinkedIn and Facebook! Debra is the prestigious owner and president of Alliance-Link! An SEO agency that ensures quality and great link building service! Besides being one of the best SEO experts around, Debra does a lot of donation to The Huston Heart and Stoke Walk, The Leukemia and Lymphoma Society and her present project, Shine for Girls! Back in 2011, Debra was voted as one of the top SEO women in the industry. You can connect with Debra by Twitter, LinkedIn and Facebook! Based on this philosophy, AJ has formed one of the best online marketing agencies from San Francisco! His agency is moreover focused on SEO! Aj has 20 years’ experience in the industry with a proven track record in search marketing and product strategy. He is well regarded as an expert in top publications from Forbes to the Street! Aj has given presentation at leading search conferences from SMX advanced to MozCon! You can connect with Aj by Twitter, LinkedIn and Facebook! Sean is an SEO specialist having great expertise on growth hacking, internet marketing and content creation! He is a renowned speaker, entrepreneur and one of the most effective SEO professionals in the world. Sean is the proud CEO and founder of SEO Hackers which is one of the best blogs on SEO online! He is also the CEO and co-founder of Qeryz which is a brilliant tool for website survey! You can connect with Sean by Twitter, LinkedIn and Facebook! Jordan is a veteran professional and expert online marketing consultant with exceptional SEO and SMM skills! He has successfully demonstrated his SEO skills with several organization such as overstock, PETA and many more! At present, Jordan is the Digital Marketing Strategist for MWI-US! He is also a speaker, author and blogger at Search Engine Land. He is considered and trusted by many industry leaders as one of the most effective SEO experts in the industry. You can connect with Jordan by Twitter, LinkedIn and Facebook! Mathew is an all-round marketing professional serving as a growth consultant, international speaker, trainer, author and an expert marketer. He is the founder of Alphametic and search decoder! Mathew is also an adjunct professor at NYU where he teaches on search marketing under advanced graduate program. Matthew helps organizations build their online perceivability through information driven arrangements that yield higher ROI. He is one of the most trusted seo experts around by many industry leaders. You can connect with Mathew by Twitter, LinkedIn and Facebook! Todd is a genius in SEO! He has co-developed the SEO curriculum for Rutgers University! Moreover, he has 10+ years robust experience in the field and is one of the most dependable seo experts in the community. He has been an Internet advertising specialist with more than 15 years of building sites and enhancing activity for small business to big business as an expert and counselor. To know more about his work you can visit his site here. You can also connect with Todd by Twitter, LinkedIn and Facebook! From Chelmsford, UK Freddie is one of the finest SEO experts in the hood! Graduated from Great Baddow High School, Freddie is a rising superstar in the SEO world from UK! He has been serving Amara Living Ltd where he is responsible for the growth management of the inbound channels and international market. He is surprisingly well versed with brand management, on site content management and digital marketing resources. You can connect with Freddie by Twitter, LinkedIn and Facebook! From Great Boston area, Casey has proven her brilliance on writing, editing and SEO in the industry! She has served as a writer, editor and SEO specialist for big names like Strategic Media Inc, Richter Publishing, Elite Daily, The Huffington Post, RR Donnelley and the Brafton Inc.
Casey is an expert in writing, editing and managing contents for all size of business and making it search engine optimized. She is a graduate on writing from University of Tampa! You can connect with Casey by Twitter, LinkedIn and Facebook! From Harrisburg, Pennsylvania area, William is a dynamic combo of SEO, Digital Marketing, UX, E-commerce, analytics and so on! Having 17 years experience in online marketing sector, William has been acknowledged by Shippensburg University as one of the outstanding young alumnus 2014! Furthermore, he has been the finalist of “Executive of the year 2013” by CPBJ! He is the proud co-founder and president of Webpagefx which is a globally recognized internet marketing company. He is the man behind of Webpagefx outstanding success in the industry. He has been a weekly contributor for Forbes, portal architect for SAIC and IT specialist in financial information system for the University of Pittsburgh! You can connect with William by Twitter, LinkedIn and Facebook! From United Kingdom, Nick Wilsdon is one of the most intelligent and knowledge seo experts in the market. He is an expert in digital marketing strategies, developing new commercial relationship, SEO SEM, SMM, PPC, content marketing and many more! He is also a contributor for industries leading publications like The Drum, Reuters and The Moscow Times! At present, he is serving as the SEO lead for Global Channel Optimization at Vodafone Group! You can connect with Nick by Twitter, LinkedIn and Facebook! Dan is one of the London based seo experts who has been at the top of his game for decades! His unique, innovative and go getter attitude towards internet marketing has brought him to this list! He is one of the fewest first generation SEO specialists who has proven his expertise over the long years and now serving as an inbound marketing consultant. He has led the SEO campaign for Mangostorm and at present the proprietor of shop 21. You can connect with Dan by Twitter, LinkedIn and Facebook! Nirav Dave is a Co-Founder & CTO of Capsicum Mediaworks, a digital marketing agency in India. He has been in this industry for over 10 years and has been able to carve a niche for himself in the field of SEO. While his main area of interest lies in web design and development, he has also acquired an extensive knowledge in SEO and other internet marketing techniques over the years, making him a recognized SEO expert and specialist in this field. He offers valuable aid to budding SEO specialists through this blog and his dedication and passion towards his work reflect in all that he does. You can connect with Nirav on LinkedIn, Facebook and Twitter. From Birmingham, United Kingdom, Marcus is one of the pros in the industry having 16 years’ experience in SEO, digital marketing, PPC, web development, online marketing and more! He is currently the internet marketing and SEO consultant for Bowler Hat which is a renewed online marketing agency from UK! Marcus has published several posts about SEO on search engine land and is considered as one of the most effective seo experts around! You can connect with Marcus by Twitter and LinkedIn! From Oslo Area, Norway, Trond is one of the mightiest SEO gladiators from Europe. He is the senior SEO consultant & founder at Search Planet which is one of the top notch European SEO agencies. Having expertise on SEO, PPC, online marketing, analytics, AdWords and many more, Trond is one of the most versatile seo experts who can drive the desired traffic to your site and boost your sales. He has helped many business all around the world to to acquire more website traffic and sell more of their products by using his seo strategies. You can connect with Trond by Twitter, LinkedIn and Facebook! From New York City Area, Mario is one of the young top guns in the SEO world right now! He has over 5 years extensive and core experience in digital marketing including Search Engine Optimization, Pay per Click Marketing, Local SEO, Social Media, and other areas of SEM. He constantly works on his skills to help business around the globe to bring them more visibility in the search engines. You can connect with Mario by Twitter, LinkedIn and Facebook. Zac Johnson is one of the broadly appreciated professionals in SEO, blogging and internet marketing communities. Through his popular posts on bloggingtips.com and zacjohnson.com, he has helped thousands of readers to grow their brands and make money online.He is the president and CEO of MoneyReign Inc. which is a leading online marketing agency! With over decades of experience in the field, Zac is indeed one of the top seo experts who can surely get the job done. You can connect with Zac by Twitter, LinkedIn and Facebook! From Atlanta, Georgia, Erin is a veteran in cross-platform digital strategy! Furthermore, she is a speaker for SMX, SES and Pubcon. She is also a contributor on Mashable, Search Engine Land and Search Engine Watch. She is currently serving The Home Depot as the SEO manager successfully! You can connect with Erin by Twitter, LinkedIn and Facebook! From Helsinki, Finland, Mikko is a data-driven, conversion-focused marketer with hands-on-experience of many technologies, paid and owned media optimization, web analytics and content marketing. He is internationally regarded as one of the most effective SEO professional from Europe! His skills in SEO, analytics and CRO have brought success to many business around the world. At present, he is serving as the senior consultant for klikki which is one of the leading digital marketing company in the Nordic countries. You can connect with Mikko by Twitter, LinkedIn and Facebook! Kristi is a dedicated freelance writer for business vastly specialized on SEO, content marketing, lead generation and other online marketing functions. She has been covering web marketing and business topics since 2008! Her amazing understanding on SEO and online marketing made hers posts go viral on portals like Search Engine Land, Social Media Examiner and Search Engine Watch. Kristi is Hubspot inbound marketing certified and Google analytics qualified. You can connect with Kristi by Twitter, LinkedIn and Facebook. You can also reach out to her by her blog Kristihines for any relevant queries. Ben is all about winning business, growing revenue and building excellent team! He is one of the core SEO specialist from UK and is well regarded in the industry. He is now the proud head of SEO for Digivate which is one of the most popular and result driven SEO agencies in the market. He is one of the genius minds in the industry having great knowledge on growth hacking, seo and content marketing. You can connect with Ben by Twitter, LinkedIn, Facebook and by his website. Ilyas is from the Greater Chicago Area having 7+ years’ experience in Online Marketing! He is regarded as one of the most skilled professionals having a strong grip on SEO, SEM and Web Analytic. His skill sets are diversified in SEO, SEM, Web Analytic, Google Analytics, Usability, Google AdWords, E-Mail Marketing, Social Media, Marketing Research, Online Marketing, Online Strategy, Interactive Marketing Services, Digital Marketing and Leadership. You can connect with Ilyas by Twitter, LinkedIn and Facebook! John is one of those professionals who plays the role of an “Answer Bank” in an organization! Having around 34 years of experience in the field, John is one of the core SEO experts who can apply the right SEO strategy that delivers a defined ROI! He is the proud co-owner and EVP of kunocreative, a complete inbound marketing service company. His perception on “all marketing strategies should have an assessable and clear objective” has been a key factor for winning the Hubspot happiest customer award for the past three years! James started his internet marketing career from 2010 and has acquired a great reputation in the market since then. Though his main area of knowledge is business strategy, he is a handy mind when it comes to SEO, PPC and search engine marketing. James is the proud founder and consultant of Veravo which is one of the world’s leading search marketing companies. He has in-depth knowledge on web traffic generation by which he has driven millions of leads to his client’s websites. You can connect with James by Twitter, LinkedIn and Facebook! Aaron wall is the founder of SEOBOOK which is considered as one of the best online platforms for SEO tips and guides! Aaron offers a comprehensive training program on SEOBOOK platform which covers all the key areas of SEO. You can connect with Aaron Wall by Twitter, LinkedIn and Facebook! Brett is the proud founder and CEO of Pubcon which is the world’s leading social media and optimization conference! His brilliance on SEO, SEM, SMM, PPC, online marketing, analytics and E-commerce have contributed immensely in the industry. He delivers enormously effective meeting occasions across the world and is also supportive and active in his local community. Bret is known as one of the brightest social media and search marketing personality. He arguably produces one of the best trade shows in the world. You can connect with Brett by Twitter, LinkedIn and Facebook! So begin interfacing with the GURUS and take in the most up to date seo insider facts. Wow, great post Sayed Shahnur! I really enjoyed the post. Insanely detailed. That was one of the best SEO experts articles I’ve ever read. Amazing!!! love your writing style and epic tutorials. Just tried your wikipedia technique… Great why didn’t thought of it first…. Anyways thanks and keep doing awesome posts.. Always top notch stuff man! Have a Nice day Thanks for sharing such amazing post..